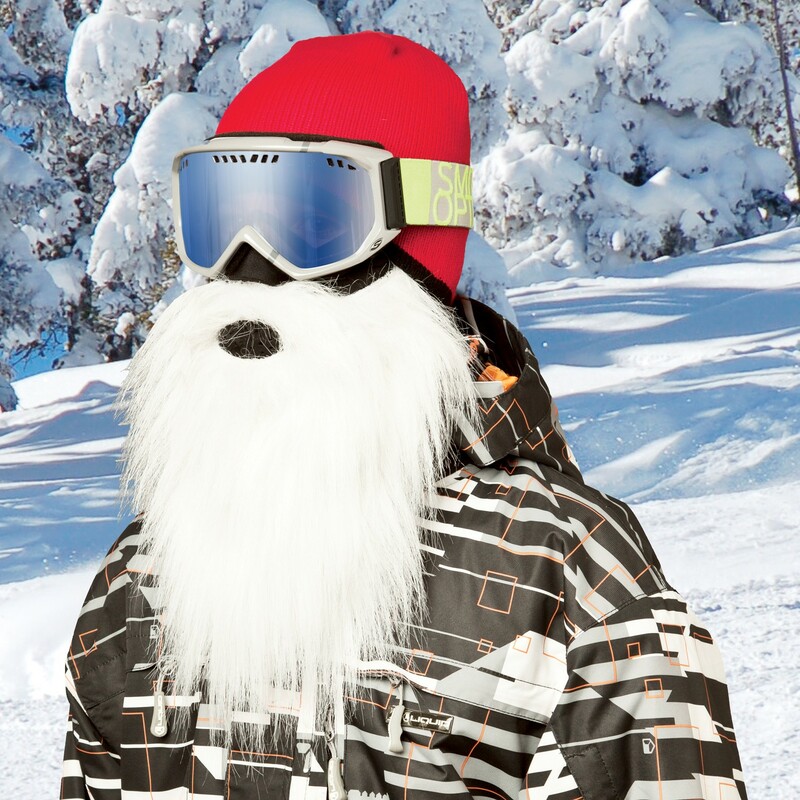 Santa Beardski - Attitude meets performance. Sport this insulated ski mask with comfortable lined neoprene, woven thermal fleece and stylish synthetic beard on the slopes, riding your Harley or exploring the polar ice cap. This universal one-size-fits-all design securely holds the mask in place and is easy to wear/remove. The advanced mask design covers the ears, face and neck from the harshest of cold-weather conditions. Let your adventurous side show with the one and only Beardski. Git Yer Beard On!